We have been talking about habit change for the past few weeks in groups. This week we are going to balance that out with a healthy dose of self acceptance which, paradoxically can be a great catalyst for change and growth. This is a cornerstone of dialectical behavior therapy. An important developmental task of adolescence is moving beyond dichotomous thinking that something is "all good" or "all bad". Getting stuck in inflexible thinking around habit change makes it difficult to make the incremental changes that are most effective. According to Deborah Barrett, "The more we fight against it, the more likely we are to experience negative emotions, such as anger, hopelessness, and despair, and the harder it becomes to identify changes that can help. Like those Chinese finger-trap toys, the more forcefully we tug to release our index fingers, the more tightly ensnared they become. Calming down and taking stock of the situation opens the means to escape." So in that spirit, this week we will be picking a habit that we are going to send some loving acceptance toward recognizing that our quirks and idiosyncrasies make us who we are for better and worse. Resilience is the ability to bounce back from setbacks, and it is one of the most important factors in social emotional development. Confucius once said, “Our greatest glory is not in never falling, but in rising every time we fall.” I was just a moderator at a community discussion in Tolland about raising resilient children and it got me thinking about what we can do in our smaller Kids Cooperate community to foster this critical social emotional skill. At Kids Cooperate our approach to supporting growth is multi disciplinary, and your parenting style can be too! Learn what you can take away from the innovative TEACHH program. We are continuing our curriculum on the brain, and this week we are into some exciting territory,the pharmacology of the brain, how chemical reactions let the neurons we talked about last week network and communicate. One of the positive effects of the "users guide to the brain" is that it demystifies processes that can feel out of control. The more we understand how the brain works, the more power we feel to try interventions or techniques to change the way we feel and react to external events. We will be learning about synaptic connections, and how neuronal signals are stimulated by neurotransmitters which create a type of chemical language in the brain that translates into thoughts and emotions. Some of the neurotransmitters we will be discussing include Dopamine (reward and learning), serotonin (mood, appetite, and sleep), acetylcholine (muscle control), glutamate (learning and memory), GABA (neuronal inhibition and excitation), as well as agaonists (helpful chemicals) and antagonists (the chemicals that disrupt healthy brain functioning. This week I took my son to see The Lego Movie. We loved it and as I watched it I couldn't help but see some archetypes that will be familiar to many of the kids who participate in Kids Cooperate social groups. [Possible Spoiler Alert] The pantheon of bad guys is headed by President Business who, frustrated with the disorder of lego land devises a plan to freeze them all in place using his army of micromanaging machines led by Bad Cop, one of the most three dimensional and interesting characters who struggles with wild mood swings. Starting to sound familiar? The hero of the story is Emmett, a lego guy who struggles to fit in and be accepted despite his best effort to listen to what his peers are listening to, watch what they are watching, and talk about what they are talking about. His attempts to fit in are perceived by his peers as something less than authentic, and he is ostracized in a way that is all the more painful because he is "doing everything right". Starting to sound familiar? In the end it is, ironically, Emmett's willingness to accept the ways he is different which reveals the way he is the same as everyone else in that each character harbors unique quirks of character that compliment each other. This should sound familiar if you have ever heard me talk about the Kids Cooperate philosophy of practice. Our curriculum is built around the dialectic idea that a person has to unconditionally accept themselves as they are before change is possible. That is the principle behind the way curriculum is developed to support a space where the group members can share and find community in their idiosyncrasies, while gaining greater awareness of their social emotional strengths and challenges and learning tools to reach across what separates them from their peers in order to make connections. Did you encourage your children to make resolutions this year? Did you make any yourself? You may find it helpful to use the model of behavioral change that scaffolds the curriculum at the Kids Cooperate Social Skills Groups. Joinin a group of people already engaged in an activity is one of the most difficult things to do. I'm sure that you've been in a social situation and recognize the feeling of looking around the room and seeing everyone already gathered into groups, discussing work, sports, and politics. As I was sitting in a training this morning, a particular metaphor about the Social Sensory Cognition Process came into focus for me. As parents, and educators, we work hard to help our children build maps of the social landscape around them. A map of course, is a tool that represents the relationship of things to each other, most often places. The social maps we create for our children is a reference tool for them to look to to avoid dangers that we ourselves have discovered the hard way, and to take the path we hope will lead to happiness which is sometimes but not always the one of least resistance. A map is useless if you can't locate yourself on it. That, in a nutshell is why the central focus of the processes we use in our social groups is to bring focus to the three social senses that create the possibility for authentic social connection. In other words, the work of the social sensory process is to bring the child's awareness to the space they are present in, and that of those around them. Kids Cooperate director Aaron Weintraub discusses the importance of play, and the Social Sensory Cognition Proces on PlayDHD TV. ​In group we have been working towards a theory of understanding why we, and other people do what they do. This is important work towards developing a Theory of Mind, the ability to understand that others see the world in ways that are different, but equally valid to our own. ​The Social Sensory Cognition Process is an experiential therapy for helping people with high functioning Autism to become more at ease in social situations by creating space for more complete sensory experiences. There is no substitute for experience. at Kids Cooperate social skills groups, we have seen that skill acquisition happens best when scaffolded by play and activity. 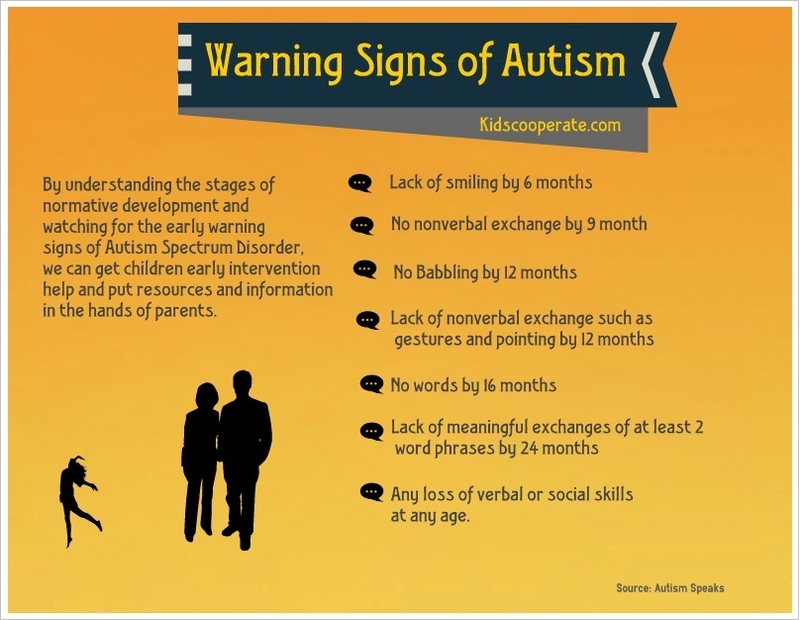 ​By understanding the stages of normative development and watching for the early warning signs of Autism Spectrum Disorder, we can get children early intervention help and put resources and information in the hands of parents. Cognitive Behavioral Therapy can be helpful in treating the emotional antecedents to Autism Spectrum Disorder. ​At Kids Cooperate we are committed to a play based model because the social learning that happens during play lays the foundation for social communication and emotional regulation skills that become important for getting and keeping a job, and maintaining close healthy relationships throughout life.